Gadolinium is a chemical element with the symbol Gd and atomic number 64. It is a silvery-white, malleable and ductile rare-earth metal. Gadolinium has exceptionally high absorption of neutrons and therefore is used for shielding in neutron radiography and in nuclear reactors. Because of its paramagnetic properties, solutions of organic gadolinium complexes and gadolinium compounds are the most popular intravenous MRI contrast agents in medical magnetic resonance imaging. 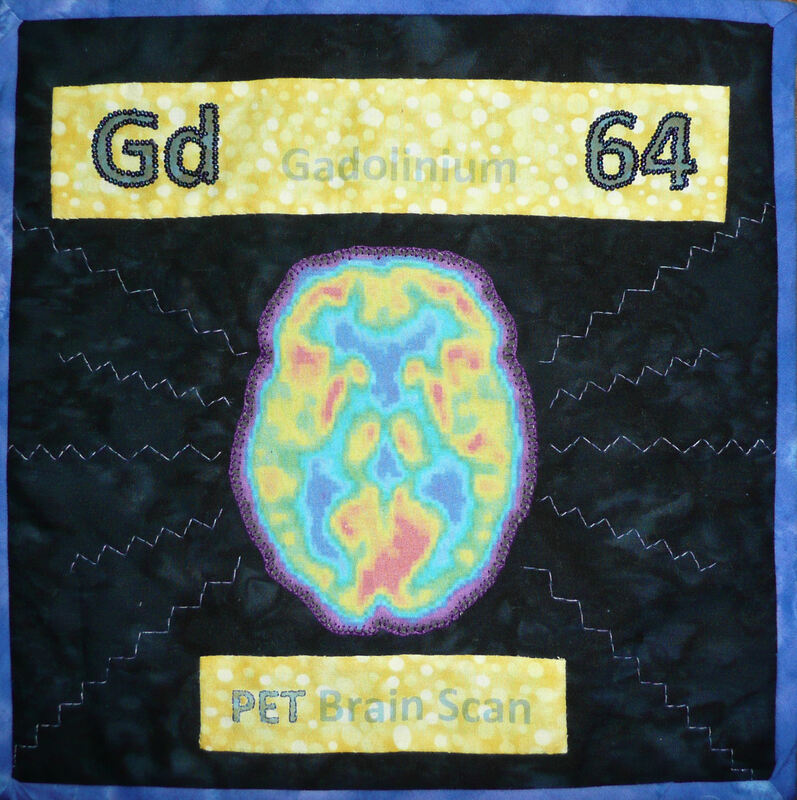 Gadolinium is also used in other medical imaging such as positron emission tomography (PET) scans. For the block I chose to reprint a brain scan found online — it is a “normal” brain and was printed on treated muslin. 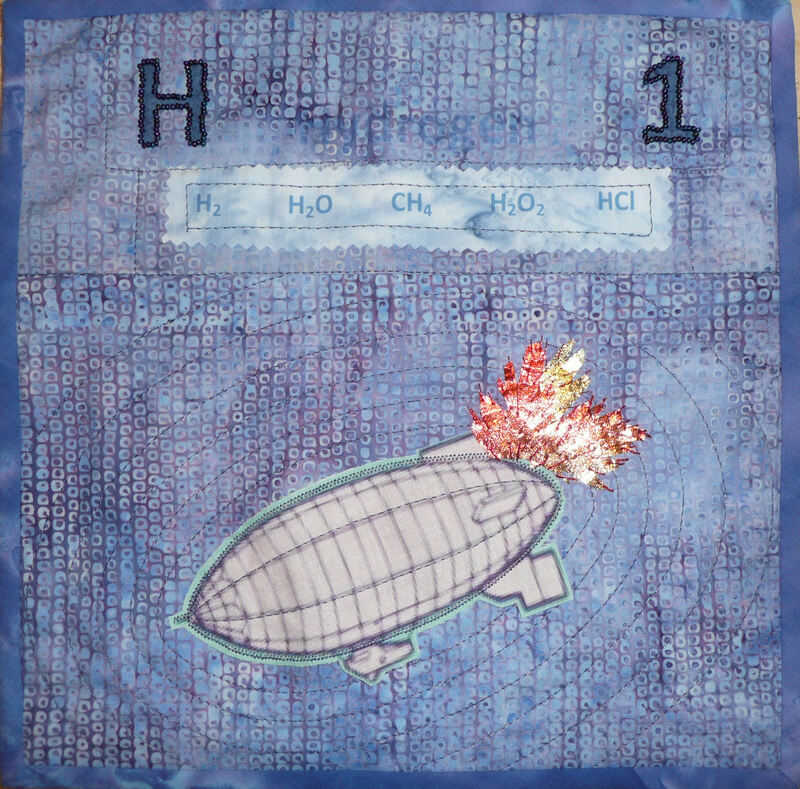 Hand applique using purple DMC thread and beading complete the block.